CVOR Level II, What Is It Trying To Tell You? Need help understanding the Level II CVOR? You are a safety person, and your job requires you to be able to read and understand the CVOR. In this course when you complete it you will know the CVOR Level II. Yes, you will understand the Level II. That is my promise to you! So what makes up the CVOR? How do Collisions affect the "Overall Violation Rate?" What the heck is the "Overall Violation Rate?" You can understand your CVOR. And then once you understand it then you can positive influence on the CVOR and the different components. Yes, you can help lower the scores. Sheldon Hayes of C.A.T. Inc, says "Great job on the webinar – very clear presentation of the material." This course discusses how to read and understand your Level II CVOR. It goes into detail of each section of the CVOR so that you understand how each part relates to the overall violation threshold. Collisions, Convictions, and Inspections all have factors that contribute to the Violation Threshold. You need to know how they interact. 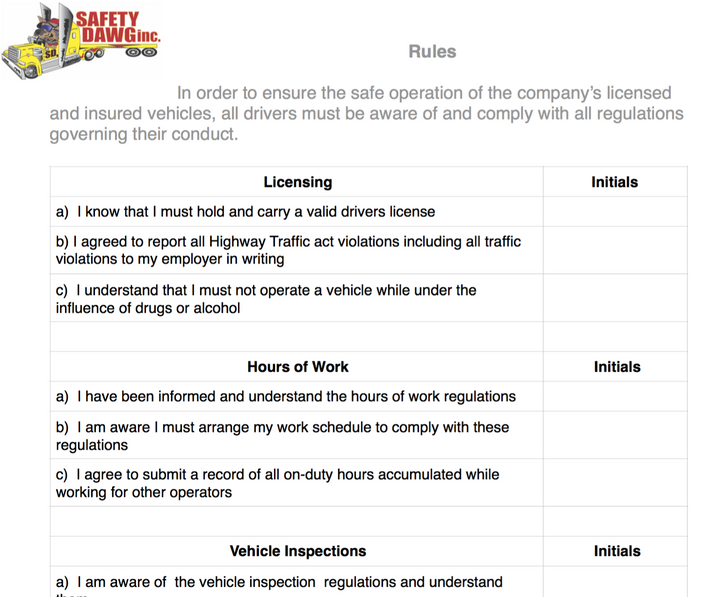 With the information, you can then determine the training requirements of the drivers. How does the Overall violation rate affect your Carrier Rating? You will also learn about MTO Interventions and when they may happen. MTO, What are they looking for when they perform a Facility Audit? Learn to read, understand and finally analyze your CVOR. 60 minute Video call included. After you have completed the course, you can email a scanned copy of your Level II CVOR. We will spend about an hour going over the CVOR and I will personally answer your questions. We may get into an analysis of the CVOR and if time allows, develop a plan of action for any trends that are found. If your location is within 150 kilometers of the Safety Dawg office, the Dawg will come to you. At your office and not only review your CVOR, but your Safety Program. You will receive a written analysis of your safety program. This is an exceptional offer.